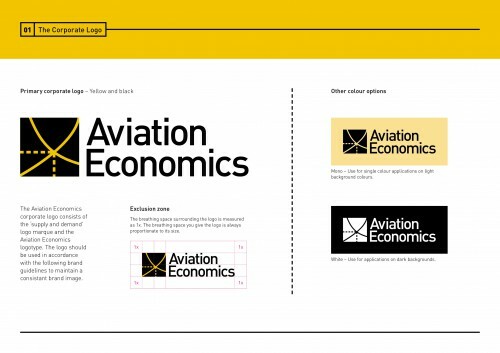 Aviation Economics, the global leader in strategic consultancy for the aviation industry, asked us to redesign their identity to portray a professional, established, trustworthy and responsible company with a global reach. The selected corporate logo design consists of the ‘supply and demand’ logo marque and the Aviation Economics logotype with a cap lead in ‘Din’. Following on from producing their brand guidelines, we are now applying their new identity to stationary, PowerPoints, marketing material and a website.